Coral Wine has collaborated with Zadar-based brewer Pivovara 8 to submerge the latter’s porter beer in the Adriatic sea for six months. Credit: Coral Wine. Croatian sea-aged wine specialist in Coral Wine has collaborated with Zadar-based brewer Pivovara 8 to submerge the latter’s porter beer in the Adriatic sea for six months. 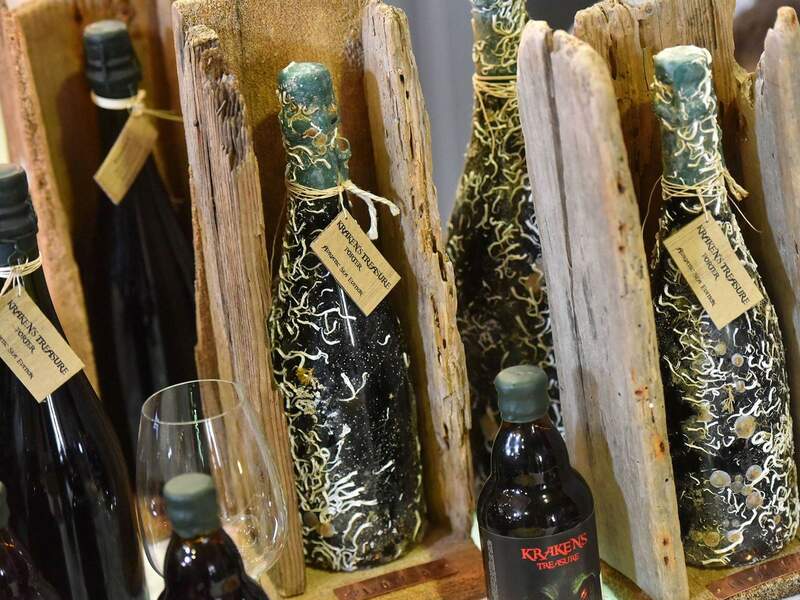 The winery left 30, 750ml bottles of the brewery’s 7.8% alcohol by volume Kraken’s Treasure porter 20 metres underwater near the Croatian Island of Pag in the Adriatic Sea where Coral Wine’s founder Marko Dušević owns a mussel and oyster farm. The porter is made with five different types of barley malt and two varieties of hops. Trial bottles of the submerged batch were tasted last week in Zagreb’s Craft Room bar. Dušević told Croatian food and beverage publication Gastro: “We submerged 30 test bottles, and by the end of the year we are planning to submerge around 500 bottles, mostly magnums. “Our impression is that [beer] changes a lot in the sea, and for the better. This is just part of the project because we have 100 different types of wine from 30 wineries in the sea. As well as changing the flavour of the beer, submerging the beer in the sea changes the look of the bottles as they become covered in seaweed, salt and corals, which means each bottle is unique in appearance. This is not the first time beer has been submerged underwater as part of its aging process. In 2011, Scottish brewer BrewDog launched a 7.1% ABV beer which had been brewed at the bottom of the North Sea. The product was called Sunk Punk and contained a range of maritime-themed ingredients, including distilled sea salt, rum and buckweed. In November 2017, South African Drifter Brewing Company launched its series of ocean-aged Tripel beers. The beers are a classic Belgian-style tripel with banana and citrus flavours.